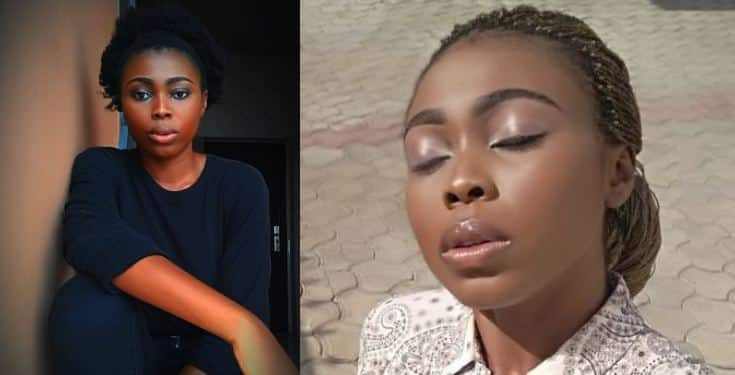 A Twitter user identified as @tillytate20 has taken the bold step of going public with her unusual gender. According to the young lady, her body is intersex. Intersex means that her body “do not fit the typical definitions for male or female bodies”. 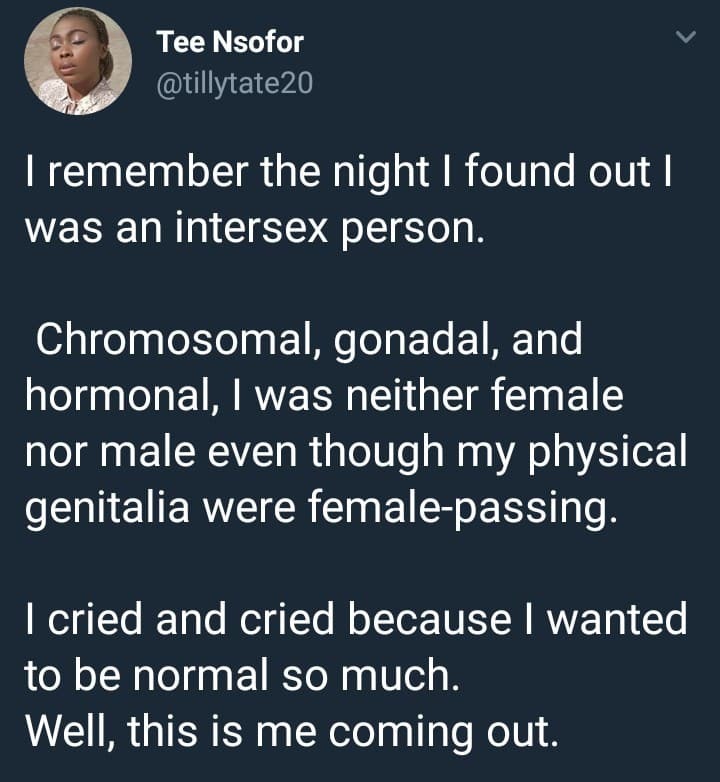 I remember the night I found out I was an intersex person. Chromosomal, gonadal, and hormonal, I was neither female nor male even though my physical genitalia were female-passing. I cried and cried because I wanted to be normal so much. Well, this is me coming out., she wrote. Well, this is me coming out.